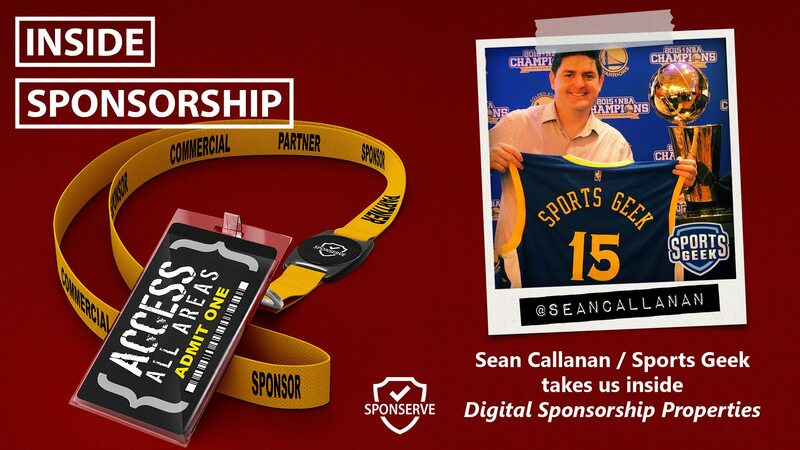 In this Inside Sponsorship episode, we catch up with Sean Callanan, from Sports Geek, to go inside the digital properties of a sponsorship program. Sean is well positioned to discuss digital properties in depth through his experiences and expertise in sports digital marketing across a wide range of rights holders all over the world. During the chat, Sean offers some great insights and loads of really practical advice on maximising your use of digital properties in your sponsorship program. It’s definitely got something for everyone. You can learn more about Sean and Sports Geek at www.sportsgeekhq.com, subscribe to the Sports Geek Podcast or connect on Twitter and Facebook. Also, we catch up with Mark Thompson, to discuss his latest blog, and this time we talked about what it actually takes to build real relationships with sponsors. You can read Mark’s full blog post here. Plus, we’d love a review on iTunes!